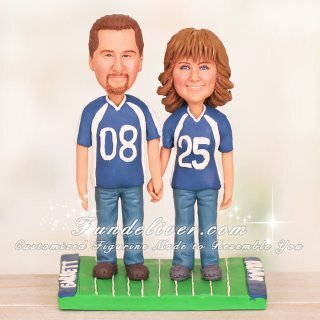 This is a completely customized bride and groom in royal blue jersey and Crocs wedding cake topper ordered by one of our customers. 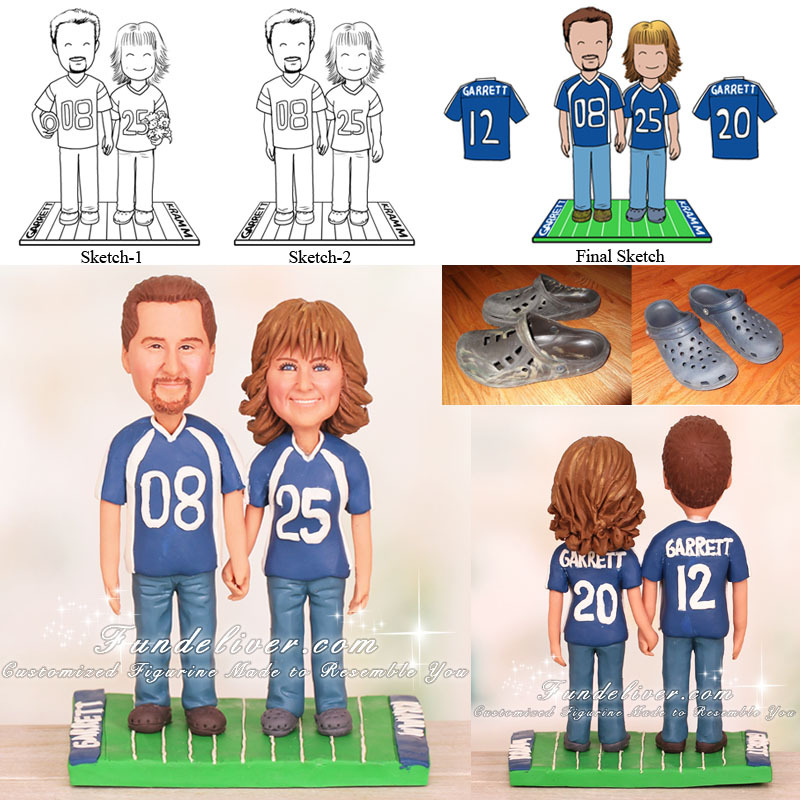 They would like the bride and groom figurine to be in jeans with their Crocs on which they wear with socks. They are wearing royal blue and white jerseys which are custom made. The groom’s jersey in front has number 08 on it and the back has 12. The bride’s jersey has number 25 on it and the back has 20. They are getting married 08-25-2012, so they would like the numbers to reflect their wedding date. They would like both jerseys in back to say GARRETT. They are holding hands, standing on a football field. In groom’s end zone they would like turf royal blue and in white write GARRETT, in bride’s end zone they would like turf royal blue and in white write KRAMM.